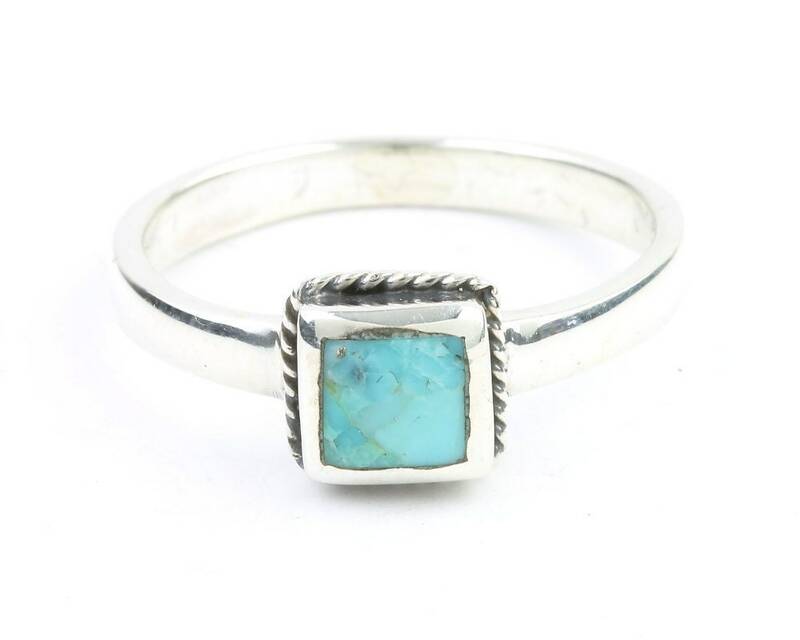 Minimal design square sterling silver Turquoise ring. Beautiful simple dainty square setting. 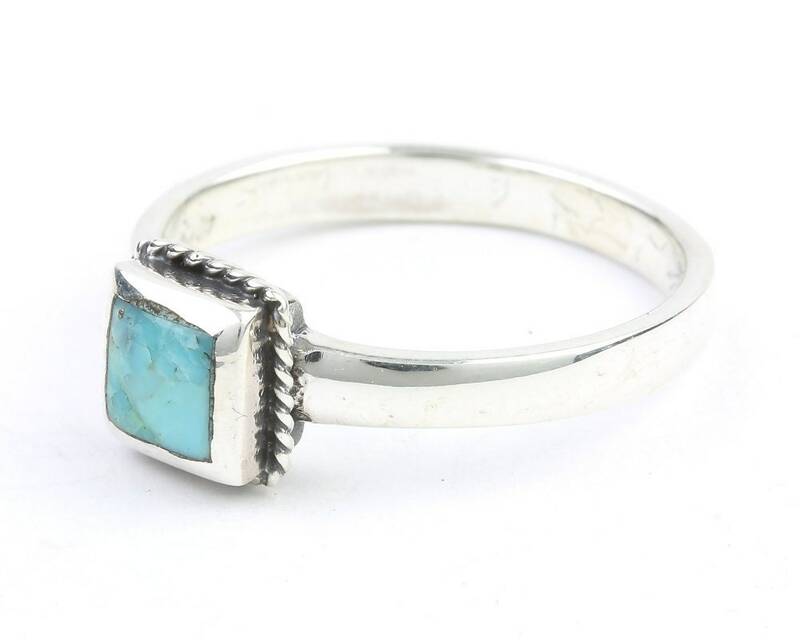 This is a beautiful ring though the actual stone is much smaller than what I was anticipating so make sure you read the dimensions really well. Quick shipping and delivery! Love! Quick shipping and is so beautiful in person! Dainty and unique. Thank you! Love this ring. Thank you. I love this ring......it's dainty and and perfect!